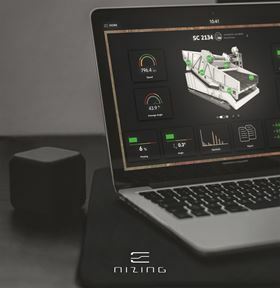 Schenck Process’s newly founded subsidiary e-nizing GmbH is launching e-nizing.io, a platform to visualize the status of machines regardless of manufacturer. e-nizing® is one app for all IoT solutions. It is an open system, highly scalable and offers everything in one place, independently of its vendors. e-nizing.io visualizes the status of the machine and provides data analyses through a variety of add-ons. Customers can choose to go either directly with e-nizing.io or with third party services. Limits for every data point can be defined and any event can trigger a phone call, email or API call. This can be used, for example, to notify if there is a problem in the plant or to order spare parts or maintenance automatically. The platform’s key characteristics are simple, safe, generic and fast. Schenck Process Group buys Process Components Ltd, a UK-based manufacturer of powder processing and handling equipment, from EPIC Private Equity. Thomas Spitzenpfeil will be the new chief financial officer of the Schenck Process Group from 1 October 2018.